Fresh, delicious, healthy, maybe that’s what people are saying about fruit juices. But everything that is consumed in excess it can cause undesirable. 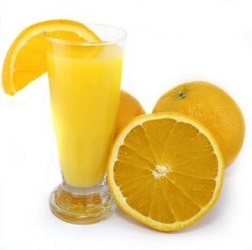 What are bad effects could be caused by the juice? Please continue to read this article. Dentist gives a strict warning about the dangers of juices or smoothies for oral health. Because there are many parents who give their children a lot of juices to make their children healthy. In fact what they are doing can damage children’s tooth in the future for long term. Why are juices can damage teeth? The fruits will give a bad effect if blended and made for ​​juice, because they will release the natural sugars in them. In addition, fruits such as oranges also have a higher acid content. Sugar and acid have the potential to erode the surface of the tooth enamel if consumed too often. Whatever the form of sugar, they are still sugar, which if it contact with the surface of the tooth will easily lead to tooth decay, of course, through an enzymatic process that it takes longer time and help with the involvement of bacteria in the mouth. So how much juice is recommended to be consumed in a day? UK National Health Services recommends only 150 ml of fruit juice should be consumed in a day. One 150 ml glass of unsweetened 100% fruit or vegetable juice can count as a portion. In addition, it is suggested that the consumption of fruit juice at mealtimes to reduce the negative effects. Surely it would be even better if the fruit is consumed as it is (whole fruit), as a function of fiber contained in fruits are still optimum. Eating the fruit (whole fruit) is better for dental health than juice (either home made juice or Instant Juice ). Whole fruit, much better to help maintain healthy teeth, because when we bite and chew the fruit, the fiber in the fruit will help to clean the tooth surface mechanically. While fruit juice that’s been made is still loaded with fiber but the fiber will be instantly swallowed up when we drank the juice, so that the function of fruit fiber to help clean the tooth surface is mechanically be exceeded. But the fiber in the fruit juice (which is directly ingested when we drank the juice) would still be useful for other body functions.